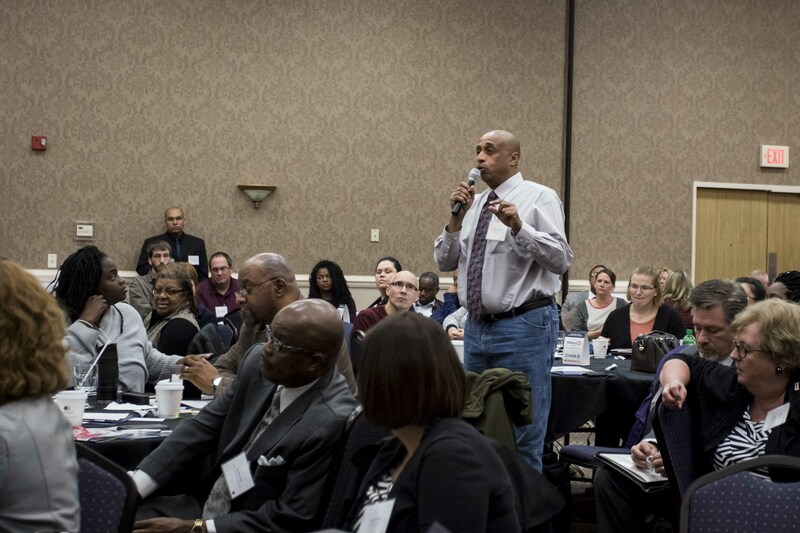 Thanks to the more than 200 participants who joined us to dig into the issues, hear from experts, and build relationships on October 26 & 27 in Bloomington, Illinois. 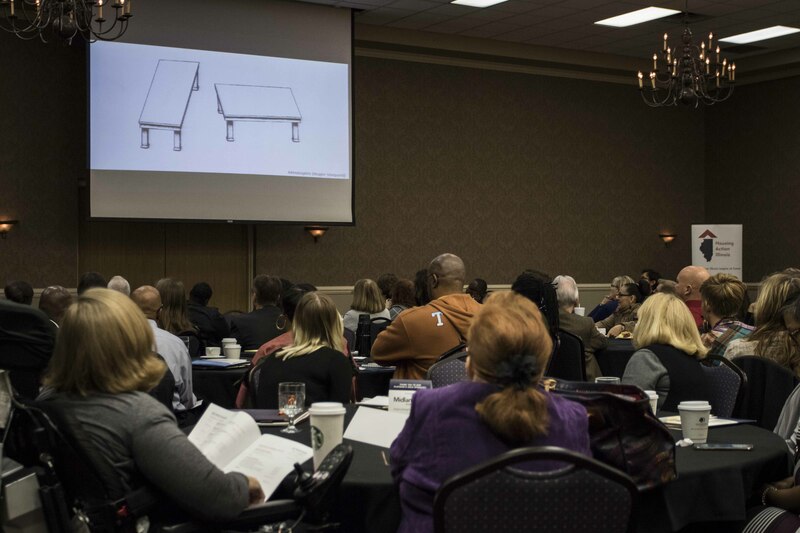 Workshop presentations are available for selected speakers; click through below to find the slides. While housing insecurity puts children and families at risk for a wide range of health and developmental complications, the foundation of a quality, stable, affordable home can act like a vaccine. Living near a park can make it easier to exercise, and having a grocery store nearby can make it easier to buy and cook fresh produce. During our keynote address, Dr. Megan Sandel will explore how good homes can be a powerful upstream intervention tool in creating healthy, thriving communities. She will use a framework of equity rather than equality to discuss long-lasting, effective changes that we need in housing, and how these efforts are amplified when integrated with health, education, and criminal justice reform. During our annual members luncheon, Housing Action staff will give updates on our work from the past year and share our goals for the coming year. We will also welcome Audra Hamernik, Executive Director of the Illinois Housing Development Authority (IHDA), which finances the creation and preservation of affordable housing in Illinois. 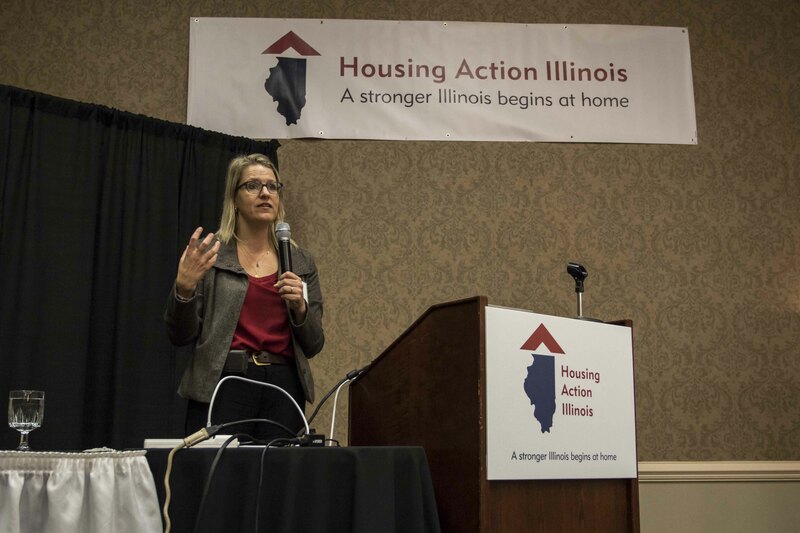 During her address, Audra will reflect on all that IHDA has accomplished during its 50 years of connecting people with financing programs for their homes, discuss the current state of affordable housing development in Illinois, and talk about what IHDA hopes to accomplish in the future, most often in partnership with those attending the conference. We make snap judgements about other people all the time. Often, we don’t even realize we’re making them—or where they’re coming from. Much of our perception, thinking, and action is shaped by implicit cognition: mental activity that occurs outside of conscious awareness or conscious control. Because of this, our judgments and actions can be unintentionally influenced by factors that we do not recognize and may not fully appreciate. During this plenary session, Dr. Carlee Beth Hawkins—Assistant Professor of Psychology at the University of Illinois Springfield and Director of Training at Project Implicit—will help us begin to understand our own implicit biases. Dr. Hawkins will share examples of ways in which we don’t have complete access to or control over our own minds, and we will explore how this translates to social judgment of ourselves and others, particularly when it comes to perceptions of race, physical and mental abilities, or gender and sexuality. We will also discuss ways to manage our implicit bias and how we can use this knowledge to inform our organizational cultures. State Budget Update: What’s Next for Illinois? After a budget impasse that lasted more than two years, Illinois finally has a budget. But while the standoff is over, it will take a long time for our state to recover from the negative impacts of the crisis, which was devastating to many Illinoisans and nonprofits dedicated to providing safety net services. Far too many social service agencies working to end homelessness were forced to close their doors, lay off staff, or cut back on programming. During this closing plenary session, Ralph Martire from the Center for Tax and Budget Accountability will talk about the long-term effects of the impasse, break down the budget that our lawmakers did pass, and discuss what must come next if we are to restore Illinois to fiscal health.. In the past year, there have been massive efforts to repeal and replace the Affordable Care Act (ACA). The proposals have included eliminating Medicaid expansion—or transitioning to a block grant or per-capita funding formula—which would dramatically reduce resources that help people maintain their housing and are essential to many people ending their homelessness. Join the discussion with members from Protect Our Care Illinois, a statewide coalition devoted to preventing the repeal of the ACA and protecting and expanding access to quality affordable health care. Joint session with Public Policy Advocacy track. 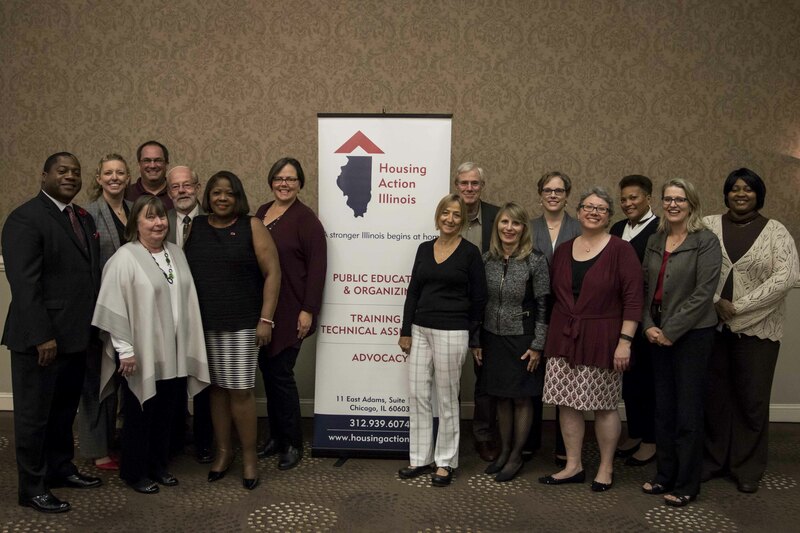 With scarce resources, it is critical that every Continuum of Care in Illinois uses effective targeting practices and policies to ensure supportive housing offers are made to those who need it most. Come and play a life-size game of Chutes and Ladders that will demonstrate how to build and improve upon a coordinated entry system that accounts for the diversity of needs of people. We will think through how chutes that cause people to take steps backwards can be eliminated or turned into uplifting ladders. Federal fair housing law requires housing providers to grant tenant requests for reasonable accommodations and modifications needed due to a disability. But what is reasonable? What is the difference between accommodations and modifications? Join us to explore the respective responsibilities of housing providers and tenants and talk about troubleshooting difficult situations. Joint session with Affordable Housing & Development track. It can be challenging to help residents who are able to succeed on their own move out of supportive housing. Join us to discuss and develop strategies for guiding residents into more affordable housing options when their services needs stabilize and decrease. This session will discuss formal strategies that have been tested to promote the concept of “moving on” as well as hear from providers who have made this support a regular part of their programming. This session will also engage the audience in how to approach affordable housing providers that have vacancies to refer tenants for leasing. In the past year, there have been massive efforts to repeal and replace the Affordable Care Act (ACA). The proposals have included eliminating Medicaid expansion—or transitioning to a block grant or per-capita funding formula—which would dramatically reduce resources that help people maintain their housing and are essential to many people ending their homelessness. Join the discussion with members from Protect Our Care Illinois, a statewide coalition devoted to preventing the repeal of the ACA and protecting and expanding access to quality affordable health care. Joint session with Ending Homelessness track. In the current hotbed of fiercely debated immigration policies and practices, how can we work to protect and provide resources for immigrant communities? This session will be particularly useful for participants who are new to immigrant issues and need a primer on the legal status issues that their community members face. Join us for an explanation of the basic immigration system, including different legal statuses, methods of entry, and bars to immigrating. We will also discuss current issues and legislation affecting immigrants on state and federal levels, such as Immigrant Integration Programs, the TRUST Act, Know Your Rights with Immigration, and immigrant eligibility for federal programs. How are public housing authorities trying to expand housing and employment opportunities for their residents? 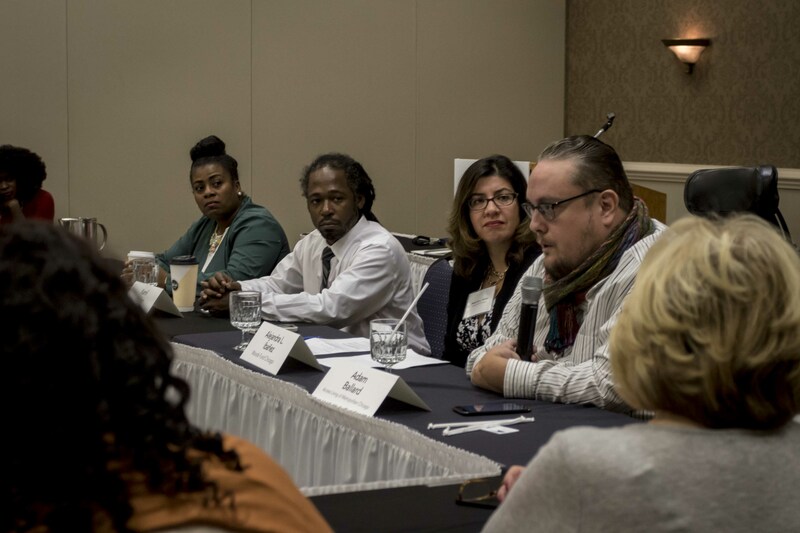 How can community-based organizations establish more successful partnerships with their local PHA to assist efforts to end homelessness and meet with needs of people significant housing challenges? What public policy changes would help? Come to this session with your ideas, questions, and reflections on PHA programs and engage in a discussion with the Executive Director of the second largest housing authority in Illinois. Next year, Illinois voters will face critical choices at the federal level for each congressional district and at the state level for governor and members of the General Assembly. It is crucial that people who need and support affordable homes show up at the polls in huge numbers to make sure our elected officials care about these issues too. Staff from the National Low Income Housing Coalition will discuss their Our Homes, Our Votes campaign, which focuses on voter registration, education and mobilization, and we’ll also hear from a representative of the Just Democracy coalition about the implementation of Illinois’ new automatic registration law, which will make our voter rolls more accurate, equitable, and secure over time. Join the discussion about why it’s important that nonprofit organizations encourage people to participate in the electoral process, find out how to do it legally and identify what resources are available to do this work. What is the secondary mortgage market, exactly? How did it come to be, and why does it have such an impact on residential loan underwriting and home purchases? During this session, we’ll talk about the history of the secondary mortgage market, which only began to take shape after the federal government created the Federal Housing Administration in 1934 but is a huge part of our mortgage system today. We’ll explore how decisions in the market’s infancy affected our nation’s housing policy and how the crash of the market connected with the foreclosure crisis. We will also discuss how redlining has affected the market and continues to plague neighborhoods throughout the U.S.
For too many first-time home buyers, access to mortgage credit remains an unattainable goal. The Nationwide Mortgage Collaborative (NMC) intends to change this by shaking up the mortgage delivery system. Learn how their fee for service model reflects the diversity of market needs across the nation and allows nonprofits to generate revenue while providing wealth building opportunities to low-income communities. Local housing nonprofits provide the sourcing, education and counseling, initial processing and document collection for a standardized fee set to members of the NMC. The NMC provides a marketplace platform for banks and investors to offer their CRA products. By aggregating loan originations, the NMC will be able to ensure consistency of loan quality, standardize loan processing and underwriting, and bundle loans for CRA lenders or for sale to the secondary market. Joint session with Affordable Housing & Development track. Rent Reporting for Credit Building (RRCB) is a powerful strategy for organizations who want to help clients strengthen their financial capability and resiliency. When clients regularly report tenant rent payments to at least one of the major consumer credit bureaus for inclusion on consumer credit reports, it helps them build credit histories and offers a positive incentive for on-time rent payment. The pairing of rent reporting with financial education and asset building programs can make financial goals much more attainable. We will discuss the benefits and opportunities for bringing RRCB to residents of affordable and public housing and clarify how RRCB is currently offered. We want to ensure everyone has the chance to live in the community, home or apartment of their choice free from discrimination. Join us to discuss the history of red lining, modern day segregation, and what fair lending practices look like. We’ll talk about actions you can take to help end housing discrimination in your own community. Could the installation of solar power be a wise investment for your affordable housing property? With the cost of solar panels decreasing every year, now may be the right time. Join us to learn more about solar energy and how public housing authorities and Native American tribes have turned to solar power to better serve their residents and their bottom line. Joint session with Housing Counseling track. Federal fair housing law requires housing providers to grant tenant requests for reasonable accommodations and modifications needed due to a disability. But what is reasonable? What is the difference between accommodations and modifications? Join us to explore the respective responsibilities of housing providers and tenants and talk about troubleshooting difficult situations. Joint session with Ending Homelessness track. Ever wonder why appraisals for similar houses can vary widely between neighborhoods? Come join a discussion on the concept of structural barriers in the marketplace. We will explain the role that over- and under- appraisals play in the mortgage market and how they can literally lift or sink a neighborhood’s fortunes, as well as what can be done to combat appraisal bias. 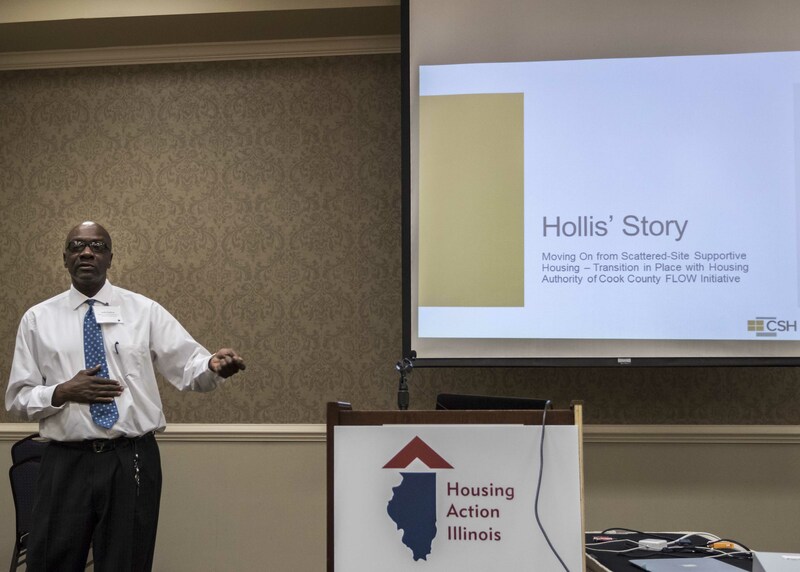 How did a small housing organization from Rock Island grow into a national leader in developing innovative housing projects? Join us in a discussion about the costs, risks, and rewards of taking on a new project through the lens of a nonprofit that grew to utilize over $200 million in leveraged resources to stimulate affordable housing development, job creation, and economic growth in northwestern Illinois and beyond. We will examine everything from setting practical goals and building community partnerships to exploring diverse funding opportunities and putting together proposals that work. With the right process, organizations can create financial models that combine attainable fundraising goals, realistic and manageable expense expectations, and contingency plans to fully fund core programs and activities. We will dissect nonprofit budgeting and explore effective tools and strategies that promote active participation in the planning and financial reporting processes, including key questions to ask. Interested in increasing your funding, but not sure where to start? 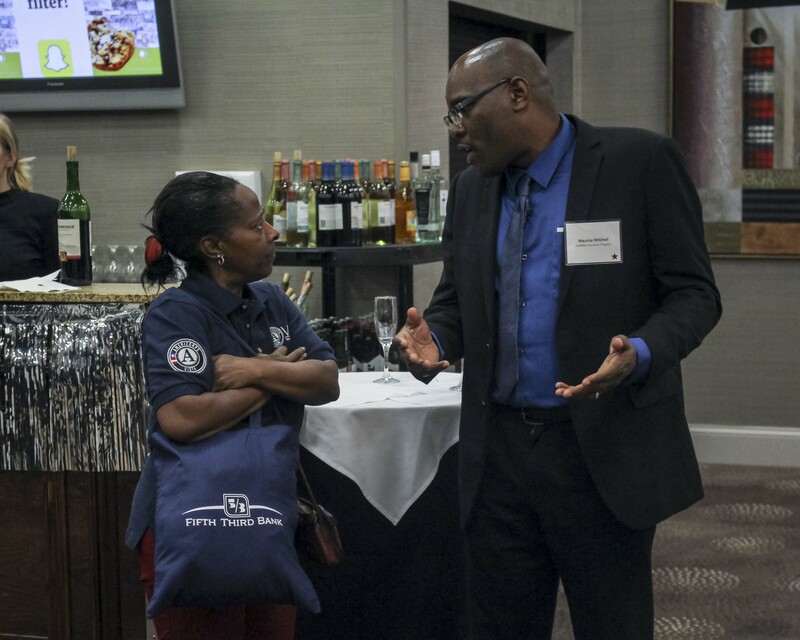 Curious about the best ways to pitch your programs and services to banks? Join this interactive session where representatives from national and regional banks will evaluate program ideas through a series of one-on-one practice conversations. Hear directly from funders as they discuss tips for successful proposals and pet peeves to avoid when presenting your ideas. If we’re going to create a better future, we need diverse leadership. To build and support diverse leadership, we need to critically examine our own organizations, intentionally build welcoming spaces, and actively foster new talent. How do we ensure that leaders representing communities that are disproportionately impacted by housing and economic injustice are at the forefront of the movement for affordable housing? We’ll talk about challenges and will ask participants to share experiences, frustrations, ideas, and hopes related to fostering, finding, and becoming leaders.